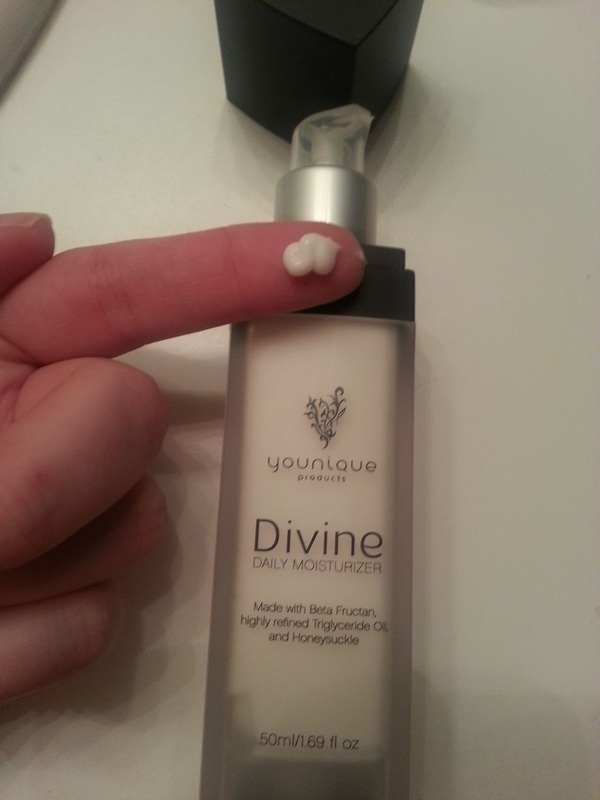 I purchased this moisturizer at the end of May, and I have about a quarter of it left. I feel like I've used it long enough that I can provide a decent review. Younique is all about empowering women. 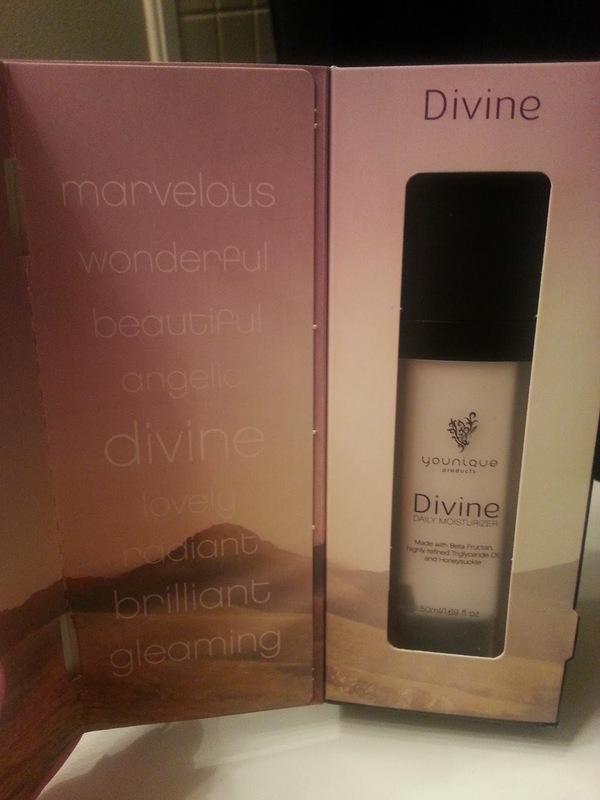 In their packaging they have included inspiring words such as marvelous, wonderful, beautiful, divine, radiant, brilliant, gleaming, etc. The packaging for the moisturizer itself is a pump bottle, which is nice to see considering most creams are in a pot/jar. I don't really mind sticking my hand in a jar, so it doesn't bother me as much as some people. This moisturizer is made with Beta Fructan, highly refined Triglyceride Oil, and Honeysuckle. 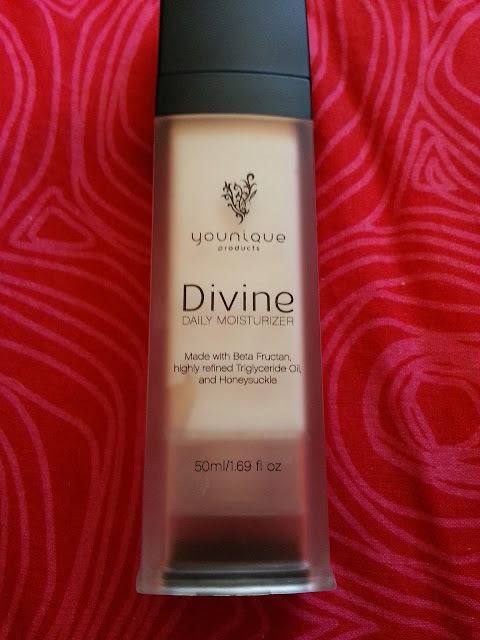 I have heard nothing but great things about how moisturizing it is, and how its great for all skin types, including dry. It is very creamy when it comes out of the pump. I find about 2-3 pumps is enough to make my face feel moisturized enough. As you can see above the cream isn't watery. I really like the consistency of it. It's creamy, and somewhat thick, but not as thick as a night cream. I've been using it as a day cream and it has been moisturizing. My only complaint is that I wish it was a little more moisturizing. If I have any dry patches, it doesn't seem to make them disappear, or if I apply makeup, it still clings to the patch. My other complaint is that it balls up. I seem to have this issue a lot lol. If I apply it, I try and let it sink in for about 10 minutes before I even try and put make up over top of it. Yet, I still get balls of moisturizer when I try and apply my concealer. 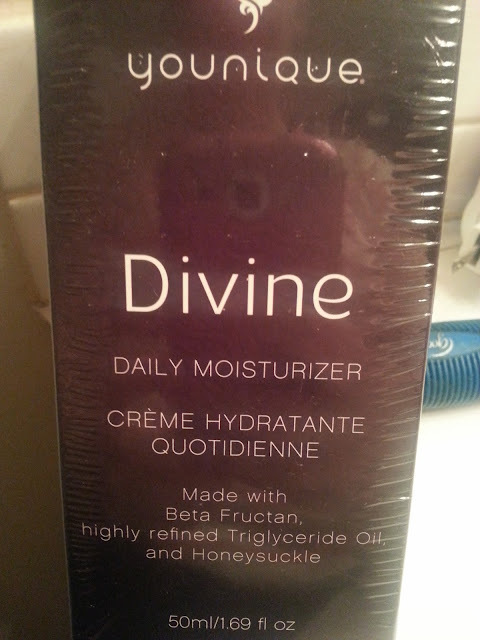 Other than that, it has been a pretty decent moisturizer. Would I repurchase, possibly. I have some Korean skin care items on their way, so I will be using those once I run out of this!